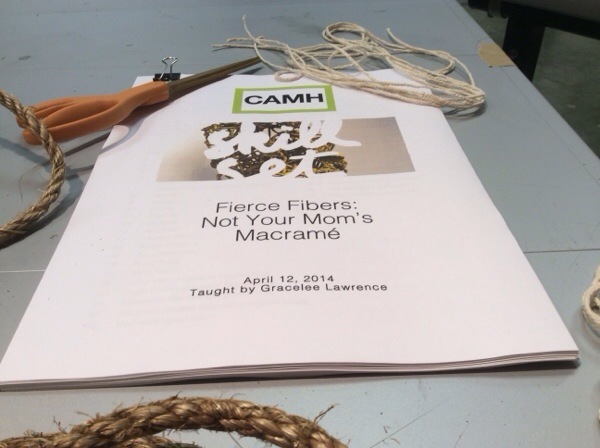 This past Saturday I took a class at the CAMH, skill share: not your mom’s macrame. 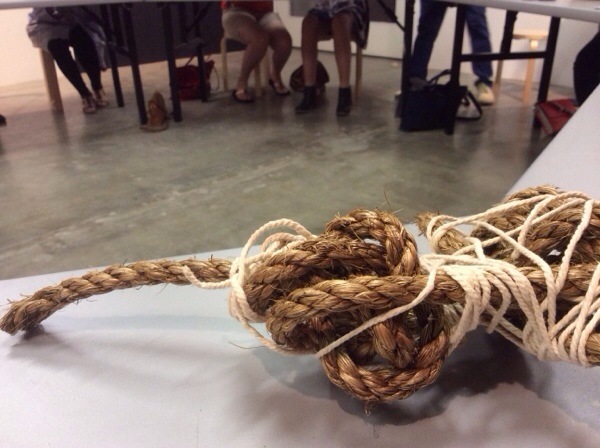 it was pretty much a 2 hour class exploring knot tying // rope wrapping // and macrame. all things i happen to really really enjoy. 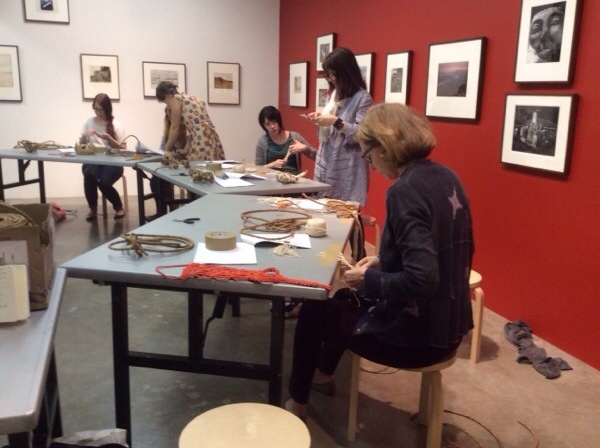 The artist hosting it, Gracelee Lawrence, lives in Austin and works with fibers. she was oh so pleasant and patient. I’ve been interested in knot typing for a while, I once gave a good friend a knot tying book because I liked him, now I kind of wish I would have kept it. Guess we can share it or something. Thanks to the PopShop show in May, (that sounds a little mean – i swear i’m really excited about having a table there!) I’m up to my ears in embroidery floss // cotton batting // and felt. 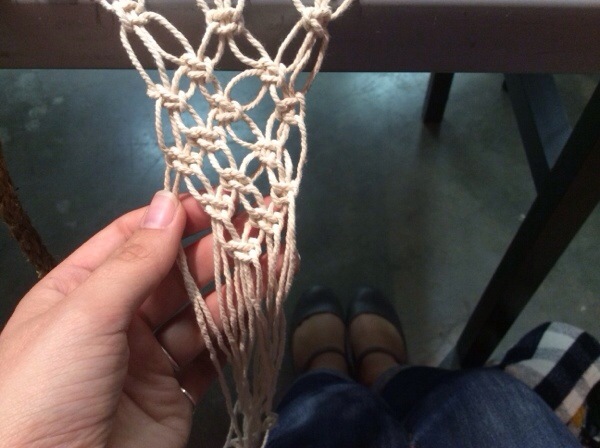 But once all that is over I’ll probably be getting a little more sleep and start to look more into macrame + knot tying. 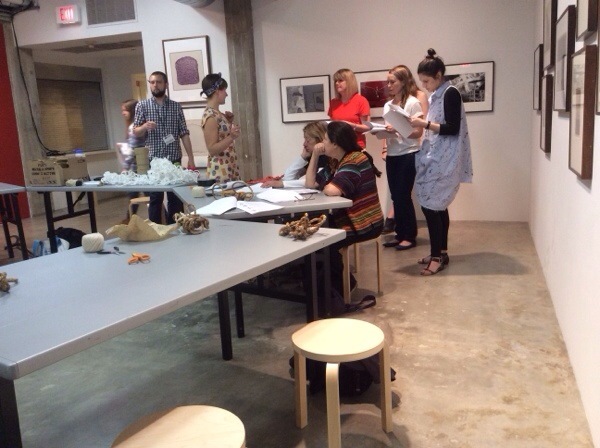 on a side note, i attended this event solo, something i used to do a lot more of. 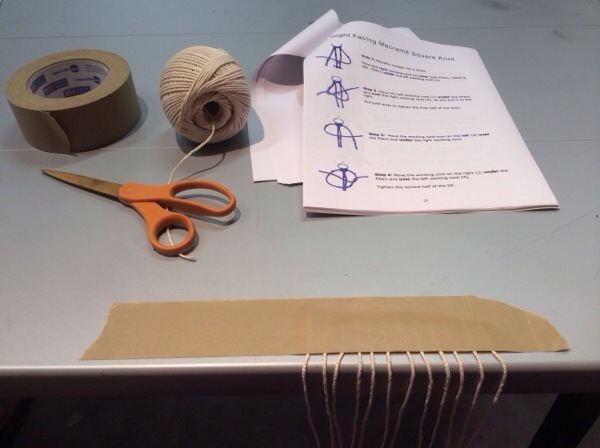 these days i’d rather stay close to home and sew something while listening to a podcast or something – i forget how nice it is to go do something new, preferably if your really interested in it. well, not “preferably” more like “only” because who wants to go do something they don’t like. that’d like ruin the point and you’ll probably get grumpy and be mad in your head that you went out in the first place and then really not go out again. blah blah. anyway, point it, this skill share was on $20 and i rode my bike and pretty much just like so fun and i’m real glad i went. 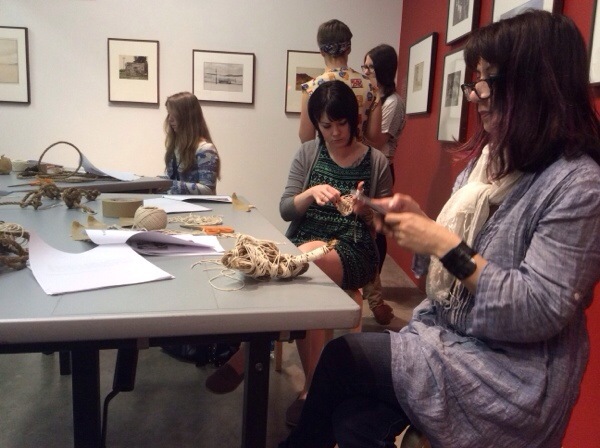 Thanks for the skill share Graceleee – and sorry again about the grouchy old ladies.